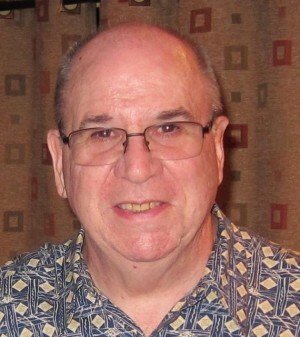 John H. Pelletier passed away on February 7th, 2019 at the age of 72. He was born and raised in Brooklyn, NY with his loving parents Bob & Lottie, and siblings Bob, Mary, and David. John was known as “Polly” to his many friends. As a young boy, he loved playing basketball at the parish Lyceum and stickball in the street. In his late teens, he was blessed to have his stepmother Julia come into his life, along with his stepbrother Paul. John enlisted in the U.S. Army and served his country proudly in Korea. While stationed in the States, fate brought John & Toni together in Toni’s hometown of Long Beach. They married in 1971 and enjoyed 47 incredible years together. They have two amazing sons, Chris & Johnny. Chris and his wife, Frances, have two children, Christopher & Leah. John cherished his special time with his wonderful grandchildren. While working at CSC Inc. at the World Trade Center on 9/11/01, John was instrumental in successfully evacuating his colleagues off of the 87th floor of Tower Two. He later had an opportunity to become an integral member of a Columbia University Evacuation Study. He was very proud of his involvement in the study, and helped design a survivor pin that he wore proudly everywhere. John had a great sense of humor, and was always ready with a joke or a quick comeback. He was loved and cherished by his family & friends, and will never be forgotten.